I have a 2007 350 Z touring it came with a Bose sound system XM radio included I am upgrading the radio to a pioneer 1300nex and adding the serious XM modular (sxv300) My question is does anyone know if I can use my stock satellite antenna on my car and if so where is it located because I don’t want to use the satellite antenna provided with the modular. 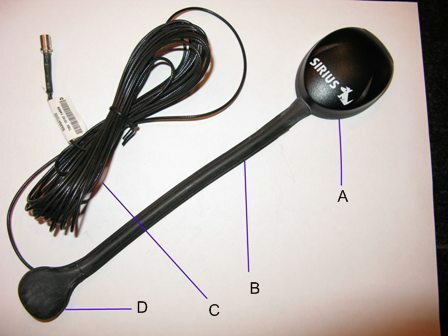 Is there a reason you do not want to use the antenna supplied with the Sirius SXV300? The reason I don’t want to use the antenna supplied with the Sirius XM is because I already have a stock satellite antenna mounted on top the roof of my 350 Z I would like to use that one I like the stock look. Plus I also heard it can be done I just need to know where to look for it. If you look at my profile pictures you’ll see the stock antenna on top. There is only one type of antenna for satellite radio. The antenna comes in multiple configurations. Here is one example. If your car has a satellite radio antenna, it should work with any satellite radio. Sirius can verify whether or not you have a valid and functioning antenna. Last edited by Spike100; 02-20-2019 at 02:47 PM. The dealership should be able to provide the information. If they are unable to do this, they can contact Nissan for assistance. Nissan is very hard on dealers who are unable to solve these simple problems. If you encounter resistance at the dealership, just mention that you will contact Nissan directly and complain that the dealer was unable to solve the problem. Also... If any part of your CES is not stock, you are on your own.